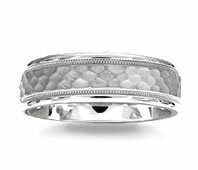 The future groom now has as many options for his wedding band as the future bride. 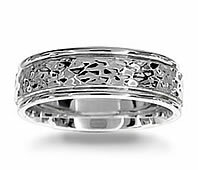 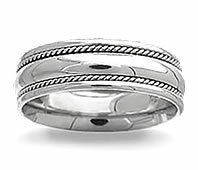 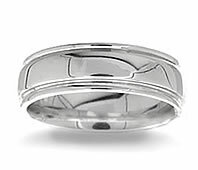 Men's wedding bands from Novori are available in a wide variety of styles, shapes and metals. 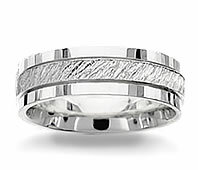 Our men's wedding bands span the spectrum from plain to ornate. 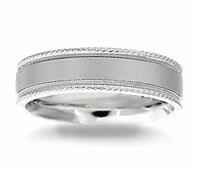 If you desire something slightly more unique, we offer custom design services. 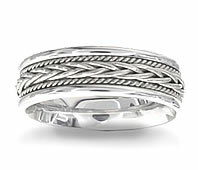 A plain band has no diamond but is no less beautiful than a diamond encrusted ring. 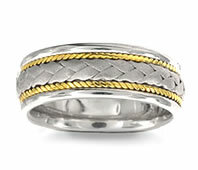 Our men’s wedding bands are made of 14k gold, 18k gold, platinum, or a combination of metals. 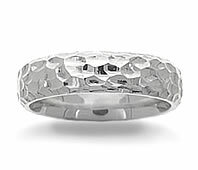 They can also be intricately engraved, have a brushed finish or be smooth to the touch. 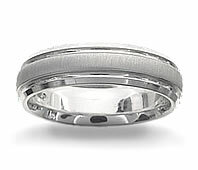 Our selection of men’s wedding bands look like they cost a fortune but they are actually quite affordable. 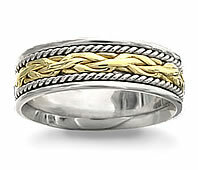 It is our goal to make quality jewelry available to everyone. 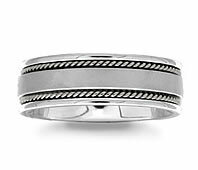 After browsing our plain men’s wedding bands, we are confident you’ll appreciate the classic beauty and simplicity of the designs.